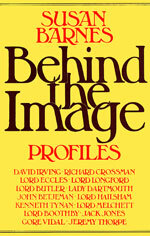 David Irving explains: After the loss of the PQ.17 Libel Action in the High Court in February 1970, The Sunday Times sent Susan Barnes to write a multi-page feature article about me for their new colour magazine. It appeared in September 1970, and she later published it as the first chapter of her book Behind the Image (Jonathan Cape, London, 1974). Readers will note the polite, almost fawning, tone of this 1970 article. With the publication of my pioneering biography of Adolf Hitler in 1977 all that changed; after thirty years, 1977 can safely be called the watershed in my career. Susan Barnes, an attractive American journalist whose family owned the Baltimore Sun, was the wife of British Cabinet minister Anthony Crosland, who died tragically young. 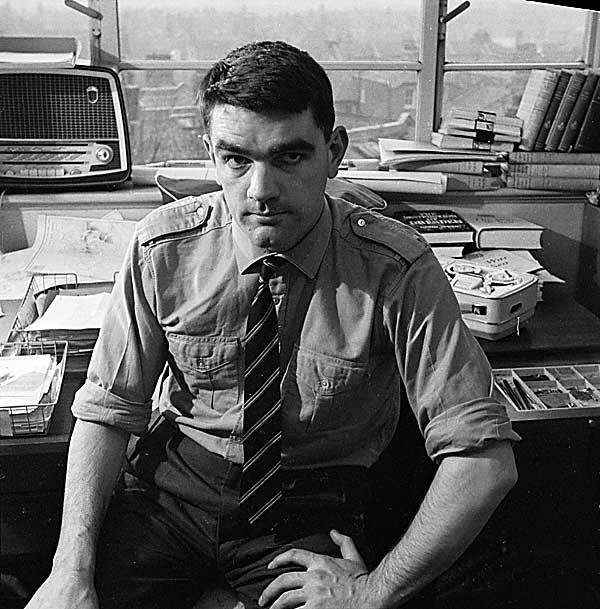 For thirty-five years until 2002 David Irving lived in Duke Street, between Selfridges and Grosvenor Square - his study window is "pointed to" by the dash in the above title. The authorities seized this Mayfair apartment - by then worth nearly a million pounds - and all his possessions including his archives in May 2002, after the loss of the Libel action he brought against the US Holocaust agitator, Deborah Lipstadt. This was too much even for Private Eye, a long-time adversary of David Irving's. This time it took his side. 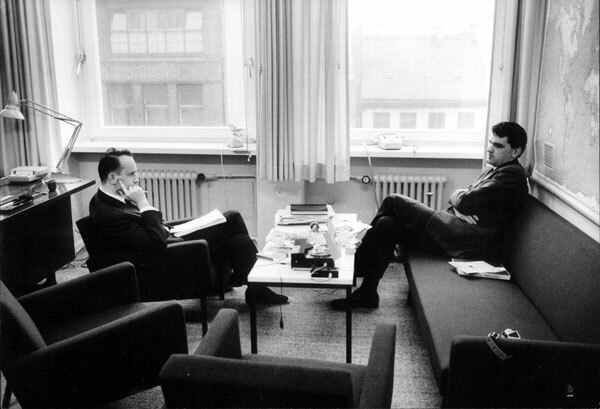 He and I met at his rambling Mayfair flat, where he wished the interview to be conducted. A maid took me into a drawing-room, austerely appointed with conventional contemporary furniture and then occupied by Irving, his delightful Spanish wife (left), his four small daughters (aged six, five, four and three) and a departing B.B.C. cameraman. The family hadn't gathered for the sake of the cameraman: they are always in and out and around. In one sentence Irving may be saying that Churchill is in Hell with Hitler, and in the next sentence -- his tone quite unchanged -- he comments that it was a sixteen-guinea food-warmer that the children just broke. Except for a reproduction of Canaletto's painting of Dresden (the bombing of which was the subject of Irving's first book), the only picture in the drawing-room is a striking, unusually sentimental photograph of Irving with his wife and children clustered around him. He is a tall, burly man with short straight black hair. On greeting me, he clicked his heels and with a slight, perfunctory bow, lifted my hand halfway to his lips. There is the extreme emotionalism of a number of the people who know him. I talked to some of them and was struck by their obsessive interest in discussing him. A few of them, while accusing Irving of using innuendo and selection, excelled in these same areas. There is the fact, freely admitted by historians of excellent reputation, that Irving is a remarkable researcher who has discovered documents of great importance. But some of them think he unduly emphasizes some words to distort their meaning and denigrate Britain. There is the instance in his research into Sikorski's death where he spotted a possible clue, checked it at source, found it untrue and discarded it -- all the behaviour of a good historian. But it is said against him that, having thus preserved his historian's integrity, he apparently passed the point to Hochhuth as if it were true, and it then came to be used by Hochhuth as proof of his own conclusions. Irving is skilful in his use of semantics. When explaining to me why he had taped a particular telephone conversation, he said that he doesn't take shorthand. As I knew that he was trained in shorthand, I thought to myself that his statement was at odds with the truth. But later when I re-read my notes I found that he had clearly said, 'I don't take shorthand.' He never said that he couldn't. He is unusually helpful and forthcoming to a journalist. Obviously he selects documents that he wants the journalist to see -- as, of course, does everyone else, however irreproachable their ethics. But whatever subject I raised, whatever disagreeable article or letter by himself or about himself that I referred to, he instantly went over to a filing cabinet, produced a copy of the offending article and ran off a photocopy for me. He is convinced of his own rectitude. 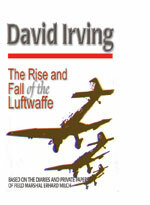 It is often suggested that Irving is a fascist. The only evidence seems to be Carnival Times, an undergraduate magazine printed in 1959, which he edited while he was a student at Imperial College, London. There has been innuendo because he has privileged access to the private papers of eminent Nazis. But he makes no secret of the technique by which he obtains his source material. 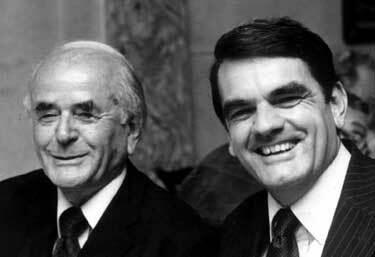 For example, he has secured the confidence of Albert Speer (the former German Armaments Minister [below with Mr Irving] recently released from Spandau Prison). 'As an unknown author, I had to have a different technique for approaching important sources like admirals, and unimportant sources like seamen. With important sources, I would arrive on the doorstep and ask to make a future appointment, knowing if I wrote I'd never get past the secretary. 'One of the Lords Justices of Appeal -- Lord Justice Winn, brother of [the notorious homosexual and Express journalist] Godfrey Winn -- was involved in the Admiralty during the time when the PQ17 incident occurred. * I called on him one evening in Chelsea uninvited, unannounced. 'He said, "Why not come in now?" I went up to his drawing-room and we talked generally. After about half an hour, I left. I wrote an immediate note on the conversation in a restaurant. 'Five days later I thought was the time to renew contact. I telephoned him. For no reason at all, he got very angry, extremely hostile, and finally slammed the phone down after two and a half minutes. I had a habit of recording telephone calls, because I don't take shorthand. Usually I would then type out a summary of what had been said. 'In this case, I thought: "The swine. I've lost him anyway." Irving's naive surprise at another's resentment of his technique was to be a recurrent theme in his conversation. Repeatedly he professed his own innocence and honesty, seeing no ambivalence between this assertion and his own admitted deviousness -- a deviousness which he describes quite openly with the pleasure of a boy who has succeeded in playing a particularly satisfying trick. ALTHOUGH desperately intense, he can show a flash of grim humour when you least expect it. But most of Irving's conversation is not intended to amuse. 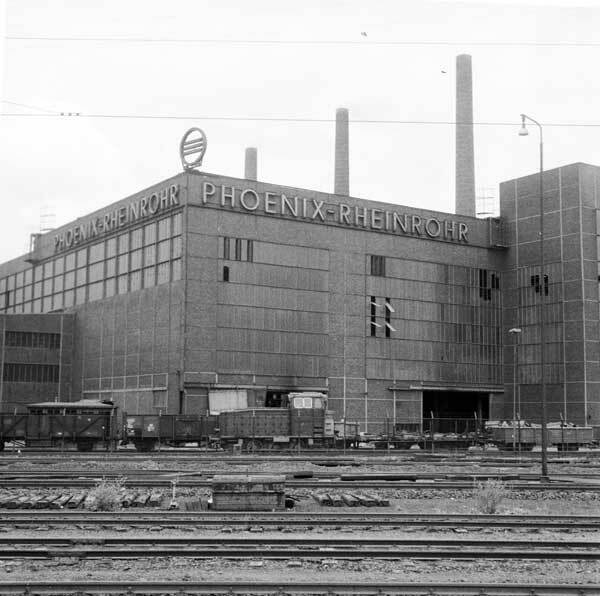 He is convinced that since his association with Hochhuth he has had the Establishment against him. Our conversation was briefly interrupted while Irving moved the television set into another room to lure his four small, chattering daughters elsewhere. Then when he settled down again, I asked him why on earth he and Cassell's hadn't avoided the libel action in the first place. 'First, we didn't consider that the passages were defamatory. Secondly, we considered that since we'd based the book entirely on documents, we need not fear the outcome of any action. This is the extraordinary thing: three firms of lawyers held this view. Irving's hands were clenched and unclenched constantly during this part of the discussion, his mouth smiling spasmodically like someone in acute pain. 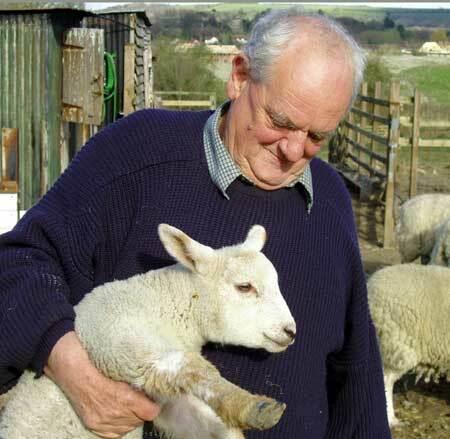 'When the award of £40,000 was announced, we could hardly believe our ears. 'What have I done to be called "fly and slippery" for? I don't know. I've lived all my life trying to be exceptionally honest. I go to exceptional lengths to get details correct. 'During the seventeen days of the trial, I had to write constantly in a pocket-book in an effort to control myself. Part way through the Judge's summing up, I stood up, shut the book with a snap, and asked my lawyer to let me get out. He said, "You sit here and sweat it out." Why had he not given evidence on his own behalf? 'I wanted to,' he said. 'I told my Counsel [Alan Duncan QC], "If I'm to go to the firing post, I at least would like my last words heard." 'He said, "Don't." It would be foolish to engage his services and not accept his advice. Personally I'm glad hanging's been abolished. Otherwise. . .' He lapsed into brooding silence. Somewhere in the distant rooms of the flat came the loud clump of a large object falling. I asked him why immediately after the trial he had commented on the Judge's fairness. 'He was so taken aback,' Irving went on, 'that he stuttered, "Keep on writing good books".' Irving gave a short laugh and then with passionate intensity added, 'I know how to lose. I do know how to lose. It's an essential part of the upbringing of every British gentleman that he knows how to lose without losing his composure. He has had one satisfaction from the case. 'The Germans have a word for it,' he said, 'Schadenfreude: pleasure in other people's discomfort. I have the pleasure of having prevented them from sinking me. They struck the wrong year to do it in. Two years ago they would have flattened me. [Irving's income was then about £10,000.] Since then I've employed an agent. I know nothing about money, but my agent does. 'I'm prepared to be smashed twice; but if I am smashed twice, I will be near the floor.' He broke off and sat silent, his wife still and quiet beside him. 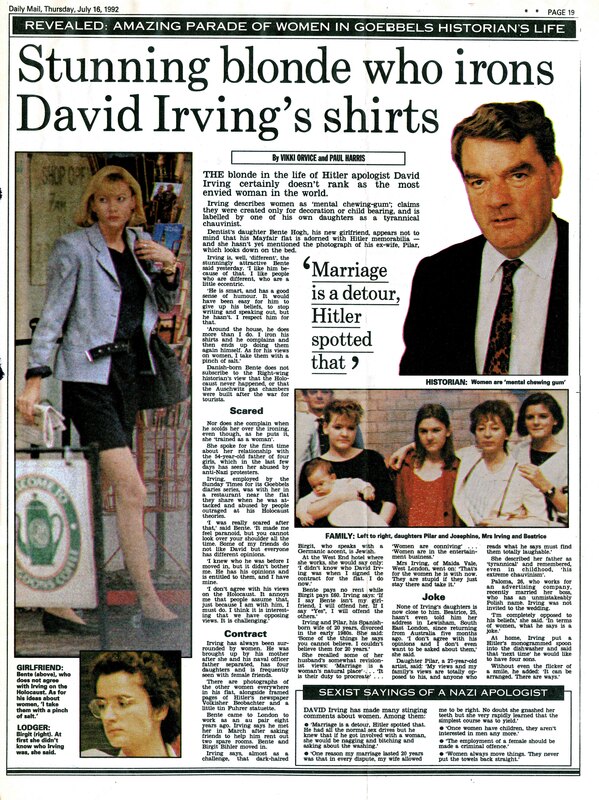 David Irving comes from a service family. 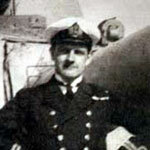 His father was a Commander in the Royal Navy. 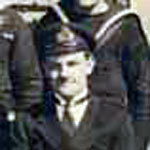 His elder brother [John] is now a Wing-Commander in the R.A.F. He went to a direct-grant/minor public school and then to Imperial College, London, where he was one often students in an experimental scheme for converting arts students into scientists and engineers. 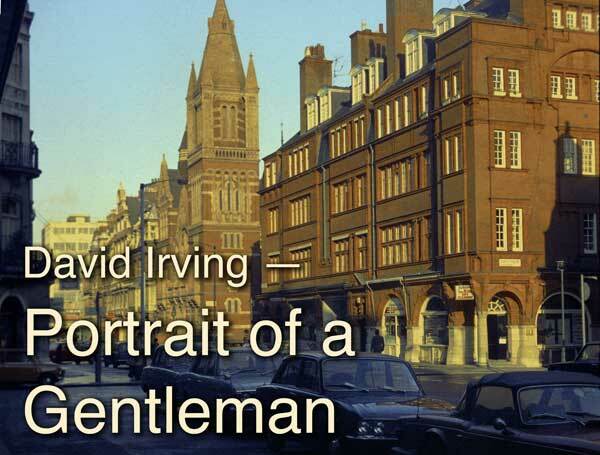 Irving failed one vital subject -- in which he had previously topped the class. In the next sentence, however, he touched on what was to be another recurrent theme: he minds deeply that he hasn't a degree. I asked why it now matters so much. Apologizing for having started his sentence three times, he began again. 'I wrote that to Counsel so that if I was in the witness box and was asked whether I had a university degree, Counsel could get rid of it in one sentence. Otherwise, I'd have had to blush and say, "I'm sorry, I wasn't smart enough to get a degree." While waiting to hear the results, he went to Spain and got a job with the U.S.A.F. Strategic Air Command as a clerk-stenographer. Although not yet married, he already knew his wife, whom he had met when she was studying languages in London. He is proud of her family, the Stuycks. The family, originally Belgian carpetmakers, were introduced into Spain by King Philip V in the eighteenth century, and have since passed the family business down through the eldest sons. 'He didn't like the English, that's all,' his wife interposed. Had the family reconciled themselves to the match? 'They all turned up in droves at the -- I almost said funeral -- wedding,' said Irving, 'though they may have been depressed by the fact that I was very poor. 'I was then working as a clerk-stenographer at an S.A.C. [US Strategic Air Command] base. They had these comic-devouring S.A.C. morons all over the camp. They were desperately short of English clerical workers. The only unpleasant aspect was, that I worked in the office of a very nice American lady earning seventy times what I was, and I was doing seventy times what she was. Then why, as the final choice had been his, does he mind so much not having a degree? He thinks his extreme right-wing views did not help him at Imperial. He was quite open about these. And, less openly -- indeed, clandestinely -- Irving arranged the printing of extra pages for the undergraduate satirical magazine he edited, Carnival Times. The pages were extreme to the point of fascism, and led to Irving's hasty resignation as editor. Irving says he regrets the Carnival Times 'escapade' only because 'a lot of the antagonism and legends have sprung from that. I'm accused of being fascist and anti-Semitic. The Hochhuth play crystallized the rumours and whispers that had been repeated before. Now, for example, it is said that I was refused by the R.A.F. because I was a fascist. The truth is I didn't reach their medical standard. 'These legends find a morsel of truth and fasten on it and grow like a pearl within the oyster into a thing of wondrous beauty -- entirely to my discredit. It all goes back to Carnival Times. 'I am not anti-Semitic. My publishers, Weidenfeld; my solicitors, Rubinstein; my garage landlord, Littlestone; my sub-tenants, Woolfson; and many others associated with me are Jews. It was after the [David] Frost programme about Hochhuth's play Soldiers that young Winston S. Churchill kept asking Irving if he was 'a mild fascist'. 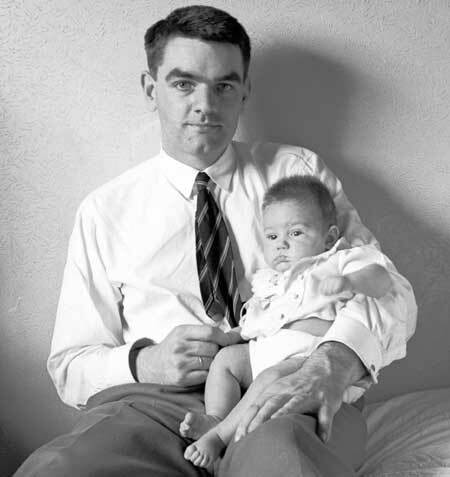 'I think I would have reacted the same way,' Irving said to me, 'if someone had said this about my father or grandfather. I met Winston Junior just the one time. I tried to like him. I shook hands with him. But there's something immature about him. His wife pointed out that Truman was still alive. 'That's true,' conceded Irving. 'He's not frying in Hell. He's probably frying in Florida. TRUMAN'S TIME SHALL COME,' he added, in large-letter mockery. Since Irving describes himself as a Christian, I asked him whether he didn't think this judgment a little harsh. 'I think they have all committed crimes of sufficient enormity to justify their being down there,' he replied. I asked him why, if he felt this about Churchill, he had refused to state explicitly in public a belief that Churchill arranged General Sikorski's murder (instead of saying that he thinks Sikorski's plane was sabotaged by the British). Mrs Irving presided over the exceptionally good meal, taking part in the conversation only when she was asked to, and then usually with a playful manner towards her husband. He remained tense, but less so. I commented on Mrs Irving's sang-froid in taking ciné pictures of her husband outside the courtroom just after the £40,000 had been awarded against him. 'Even in the worst tragedies, I'm able to keep my nerve,' she said. Mrs Irving explained that this was because her husband had been extremely irritating on some minor matter and repeated that she keeps her nerve in major crises. His wife tends to tease him about his driving. 'Every time we are flagged down in Spain,' Irving said, 'my wife says to the highway police, "You're quite right, you're quite right, my husband was driving like a madman." I asked him about the note which he circulated to British newspapers and individuals about Carlos Thompson, the author of The Assassination of Winston Churchill -- a title referring to the alleged assassination of Churchill's character by Hochhuth, Irving, and Kenneth Tynan. The note at first sight could have been mistaken for a communication from Thompson's own publishers. Thompson went to great trouble to prove it was written on David Irving's typewriter. When a newspaper rang Irving and put this to him, he said, 'Of course. My initials are at the bottom.' And so they were: 'Transl. : djci'. It was Irving, not I, who raised the subject of his visits from the Special Branch. 'Because of my book on Dresden,' he answered. 'They hadn't read it and didn't realize it was a balanced presentation. It reflected on their own Jewish legend: therefore it must be Nazi. 'A week before the final hearing, a strange man appeared on my doorstep. He said, "I understand you're having trouble with the brotherhood. We've both got grudges against them now," he added. He then said, "If you put up the money, I've got the contacts to get back at them." 'It turned out he was a doorman at a Soho club and had Hungarian friends who would do anything he asked. He suggested that we put what he referred to as "a device" in the London hall where a world Jewish organization was going to meet in a few weeks. When Irving named the man for whom this fate had been briefly proposed, I became momentarily convulsed and then asked how the Soho doorman had intended enticing this particular person. IRVING is the first to admit that he arouses a lot of personal antipathy. In pursuing this point, I used the phrase 'self-made'. 'I didn't use that phrase,' Irving correctly pointed out. 'I don't like the sound of "self-made man". It rather has a ring of nouveau riche. I'm not riche.' He paused in thought. 'Nor nouveau,' he added. He assumes that he arouses historians' antipathy because he finds sources and documents that they miss. 'This is what has caused a lot of the envy,' he said. 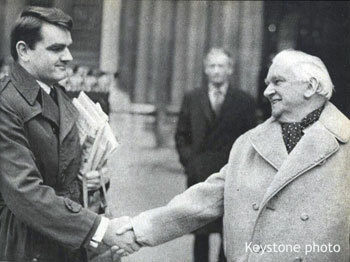 'I've been particularly successful in Germany in persuading retired generals and ministers to open their diaries to me. But he intends when he finishes his Milch and Hitler biographies to go into rather different fields and write about subjects like trade union structure. Irving is ruefully aware of rumours about the source of his income. 'It would be nice if I could say I receive a monthly cheque from South America signed M. Bormann, but it just doesn't work like that,' he said. If one looks at the fees Irving now receives from magazines and newspapers, it's not hard to see how his income mounts up. '[Max] Becker -- my agent -- sold three articles on Hitler's medical history for 12,000 dollars. They were worth it, as I am the only person with all Hitler's medical records, and I showed how in 1944, at a very crucial period of the war, Hitler became desperately addicted to cocaine. Doesn't he think this routine is unhealthy for the nerves? I asked him if he would like to enter politics. 'Yes. Later. If I assemble enough money. It would be difficult to know which party, because none at the moment attracts me. What is the summit of his ambition? 'Ah,' he said, and smiled. 'Stuck deep inside myself I have ambitions. I would vitiate them if I disclosed them. But first, one wants respect for one's honesty and credibility as a writer -- and then as a person. These are essential preliminary stages to becoming a politician -- and statesman. 'So far, I'm ahead of schedule. 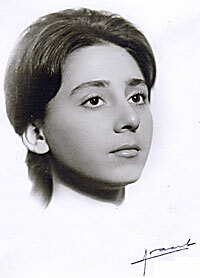 My first book [The Destruction of Dresden] was published when I was twenty-three. I'm now thirty-one. I would have been happy to be this far when I was forty. When I went to see Irving for the second time, the elegantly-laid dining table had been converted back into a work table covered with piles of papers. As Irving talked about matters vital to his own career and strode back and forth to the photocopy machine running off copies for me, children streamed in and out. One little girl was particularly insistent that her father should show her how to dial the telephone. I asked Irving why he sometimes presents the appearance and mannerisms of a German. I referred to the photograph of himself which he chose for one of his dust-jackets:, it is the classic image of a Nazi stormtrooper. There then occurred another instance of Irving's grim humour. He laid before me a faded, sinister-looking label. 'It's a Gestapo seal,' he explained. 'The Gestapo stuck these seals on letters they had opened. I had two of them -- straight from Martin Bormann -- but now I have only this one. I turned around and he was the nearest I had seen him to grinning. The Spectator interviews Benté Hogh: "Sleeping with the Enemy"